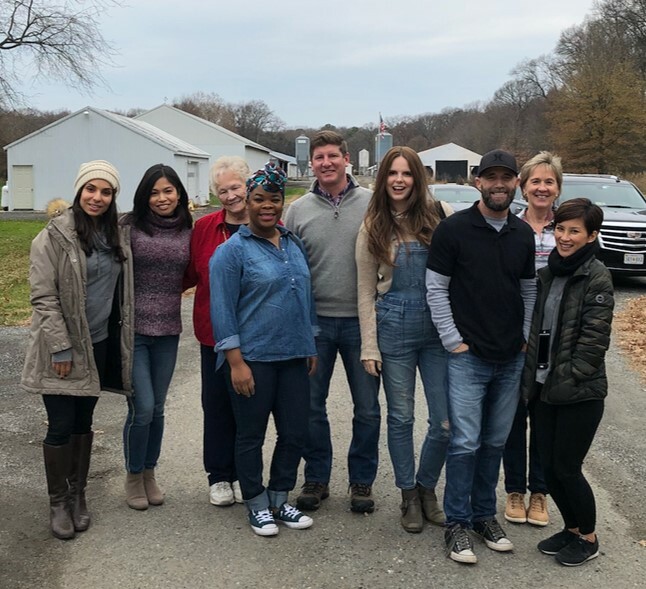 NCC on Tuesday hosted a group of food, lifestyle and parent bloggers on a tour of a broiler farm in Centreville, Maryland, as part of NCC’s ongoing Chicken Check In campaign.All of the bloggers have large followings on social media and were and continue to be very active on their blogs, Twitter, Facebook and Instagram pages writing and posting photos of what they saw and learned on the broiler farm. Liren Baker of Kitchen Confidante, a mother of two currently based in the San Francisco Bay Area. Natasha Nicholes, a parenting/lifestyle/food blogger at Houseful of Nicholes, living in Chicago with her husband and four children.